Hirers and buyers looking for the latest in lighting can trial a range of reliable lighting solutions on their doorstep with Morris Site Machinery’s popular ‘Towers on Tour’ roadshow this summer. Following on from the success of last year’s tour, Morris Site Machinery’s sales team are hitting the road with their widest ever range of lighting towers. The legendary SMC line up now includes six new products including the SL80 Pallet Tower which launched earlier this year. 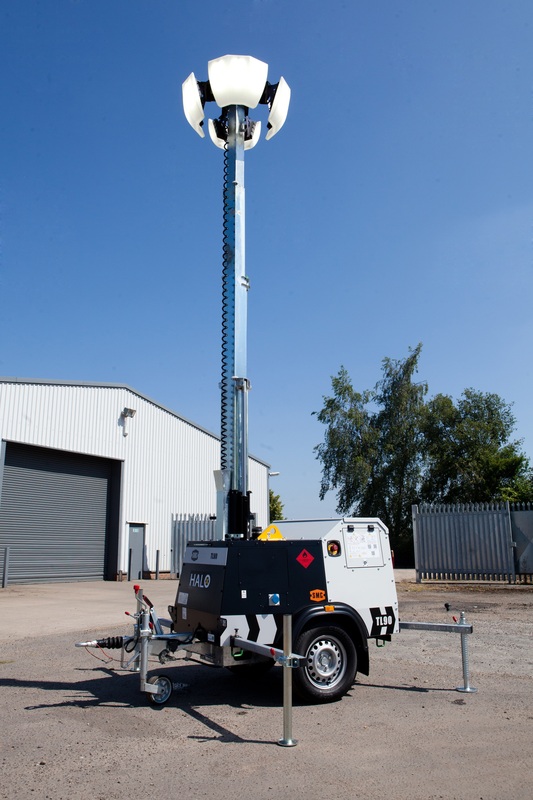 Developed to provide the market with a static 8 metre mast lighting tower, the Pallet is a highly transportable and compact option, enabling 22 units to be loaded onto a trailer. They are putting the spotlight on the new TL55 Battery and Solar lighting towers which offers a silent non-combustion solution and a 500-hour run-time, from an 11-hour charge. The new model also comes with Auto-Dimming LED’s and PIR sensors. With its 4 x 320W LEDs, the TL60 Trolley is small in size but big on impact, which will be evident on arrival. Highly compact, portable and powerful, it is designed to be handled by a single operator and is also available on a skid or as a road tow option. The robust and revolutionary Halo lamp, a powerful, anti-glare next generation lamp, continues to win fans with its virtually indestructible casing and soft diffused light. The success has prompted the introduction of a 600-watt version and 300-watt single segment lamp head suitable for studio lighting. UK Sales Director, Richard Denholm explained: “Getting out to see customers means we are able to provide practical demonstrations first hand, as well as sharing product knowledge and advice on managing and growing fleets first hand. We understand our markets and never lose sight of the needs of the Hirer or End User. These are exciting times for the business with our spotlight on new products which have already been so well received.